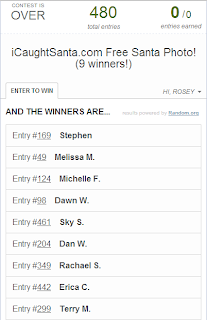 Congrats to the winners of theiCaughtSanta giveaway. These are fun! 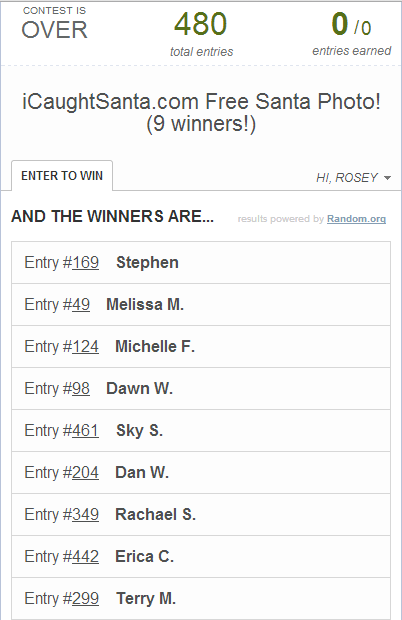 Thanks to all who entered!! Congratulations to all the winners. Way cool. Wish you and your family a very happy Christmas ! ! ! Thanks Rosey. I gave my code to my Hubs Daughter who did a picture for our 4 year old grandson. He loved it.